On social media,we constantly see the battle between Nigerian Jellof VS Ghanaian Jellof. The BIG question is which one is better? We are familiar with Ghanaian jellof since that is what we grew up eating back home.As for Nigerian Jellof ,we have had the chance of indulging in it on our first of many visits to Lagos. Nonetheless all we remembered about the Jeloff is that it is yummy and finger licking good. However we must determine the winner of the best tasting jellof. Considering our busy schedule and the fact that we have been traveling every month this year so far, finding the time to make it to nigeria is a huge challenge. Ab informed us about a Nigerian Restaurant right in Brooklyn called BUKU that serves Nigerian Jellof .we made it our duty to hop into Uber with Ab along with our dear friends and off to brooklyn we went . Upon our arrival we couldn’t help but notice the sound of african music playing and the decor. On the walls, were the traditional wear of African men. It was quite nice touch and feeling.We ordered Jellof along with fried plantains,Talapia and Red Snapper,some palm wine drink and in nigeria it felt like we were. It was indeed yummy. The wait time was excessive but it was worth it. 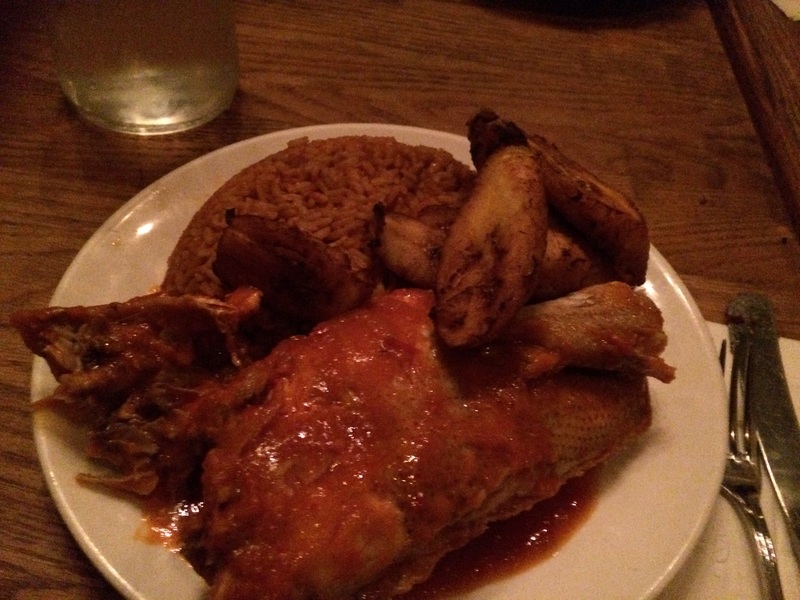 We can’t say it is better or not better than Ghanaian Jellof.They are both good in their own ways.